Before long, summer vacation will be here. It's hard to believe from the daily coating of snow we're getting every day in Pittsburgh, but the kids are entering the last marking period. The last day will be upon us soon. We don't have plans to travel this summer, but a hearing aid "go bag" remains packed just the same. This spring marks the 10th anniversary of my daughter's hearing aid use and we've developed some wisdom when it comes to traveling with hearing aids. In the early days, I was prone to overpacking and would jam both of our Oliver the Elephant Phonak packs into the luggage. The calm that comes with experience has helped to narrow down the gear to essentials and emergency supplies only. All of this fits neatly inside a little Hello Kitty pack. Magic Ear Kids (the book) has a table of common problems and easy fixes using the above list of supplies. Pro tip: remember to take the batteries out of the travel kit when you're back home. I've lost a lot of batteries to the zippered pockets of bags packed for a day trip. Five-year-old batteries just don't last like fresh ones. The TSA checkpoint is always a high-stress portion of what's invariably always a long day of travel. On our last flight, my backpack carryon didn't come through on the conveyor belt. It was whisked into a queue for additional screening. Apparently, a rolled up fleece blanket, our snacks for the flight, and a bag of leftover Cocoa Puffs triggered a special search. Already flustered by retrieving my shoes and reassembling various electronic devices and a winter coat, it occurred to me that even the best-laid plans are no match for TSA agents. The best one can hope is that it will go smooth-ish. Kids under 12 DO NOT have to remove their shoes. The shoe rule changed during my daughter's childhood, so we had the pleasure of pulling her shoes off until she was seven (that's a guess, I don't remember specifically). Then one day they told us she could leave them on. A chorus of angels sang and then the very next airport made her take her shoes off. But the rule at this moment in 2018 is leave the shoes on under age 12. Enjoy that while it lasts! Leave the hearing aids on to go through the metal detector. Occasional stories have come to my attention over the years of kids being asked to remove their hearing aids or cochlear implant processors to walk through the metal detector. The TSA should not ask you to remove hearing aids. If they do, you should politely explain that the metal detector is not damaging to these devices and the user will not be able to follow instructions without them. The above-referenced article does indicate that some cochlear implant body worn processors can be damaged by the x-ray machine. To be extra sure if you use a device other than a hearing aid, ask your audiologist. Give the hearing aids a home in the car. We've driven to Disney World and after fourteen hours in the car, trash is just one of the discomforts. Snack garbage, blankets, boredom busting activities, and assorted junk is everywhere. Be sure there's a safe place to stow hearing aids and a protocol for removal. My daughter reaches into the front and hands me her hearing aids when she's ready to take a nap or just a break from listening to her parents' blather. An extra hearing aid case in the cockpit is a great idea or at least a cup holder or car pocket cubby that is a dedicated safe place. Don't put the hearing aids in a napkin or something that looks like garbage. Our policy has always been that the hearing aids are either in her ears or up front in the little center console pocket when we're in the car. If you start putting them in all kinds of odd places, you significantly increase your risk of losing them. Don't leave hearing aids in the hot car. High heat will damage hearing aids. This poses a problem when you're having a day at the lake or even a walk on the beach when your hotel is far from the water. It's often not appealing to leave the hearing aids at home or in a hotel room and then go without them for fifteen minutes until you reach the place where you're doing the thing that you can't expose your hearing aids to. This is a great application for an old pair of hearing aids. 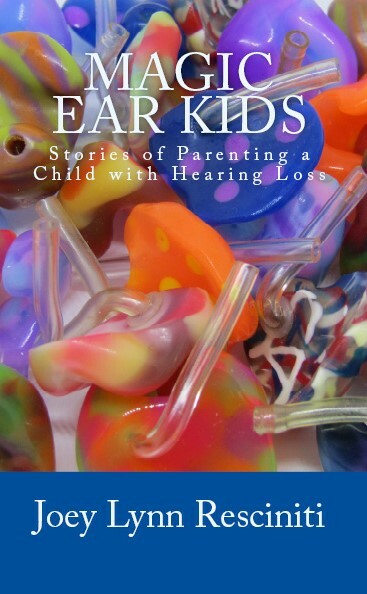 We leave the "good" hearing aids, newer and used daily for school, safe in a drying jar at home or in a hotel room. She wears the old aids and leaves them in a case that we put in a dry bag at the beach. Other strategies we've used are packing a small cooler even if we don't have food. The main things you want to avoid are the glovebox (that's a mini-oven) and direct sunlight. Try to keep the hearing aids at the same temperature they'd be if they were on your head. Traveling with hearing aids makes planning a trip just a bit more involved. Plan ahead so you can spend your time enjoying your destination rather than dealing with lost or broken hearing aids.